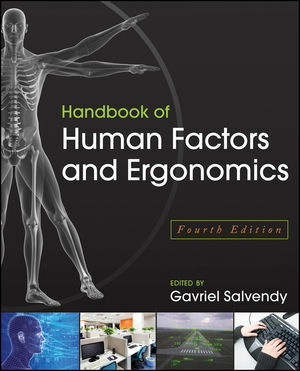 As with the earlier editions, the main purpose of this handbook is to serve the needs of the human factors and ergonomics researchers, practitioners, and graduate students. Each chapter has a strong theory and scientific base, but is heavily focused on real world applications. As such, a significant number of case studies, examples, figures, and tables are included to aid in the understanding and application of the material covered. GAVRIEL SALVENDY is Professor Emeritus of Industrial Engineering at Purdue University and Chair Professor and Head of the Department of Industrial Engineering at Tsinghua University, Beijing, P. R. of China. He is the author or coauthor of more than 430 research publications, including over 230 journal papers, and is the author or editor of twenty-eight books. He is the founding editor of the International Journal on Human-Computer Interaction and Human Factors and Ergonomics in Manufacturing. He is a member of the National Academy of Engineering and is a recipient of an Honorary Doctorate from the Chinese Academy of Sciences.